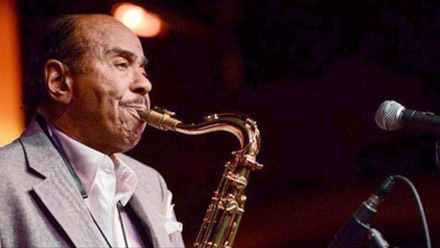 Benny Golson performs at The Nash on April 7 (submitted photo). Jazz venues and artists across the country will be celebrating Jazz Appreciation Month so The Nash has planned a full month of lively and engaging events for April. Highlighting the performances will be the legendary Benny Golson, who graces the stage April 7 for a Jazz Matinee joined by Michael Kocour on Piano, Peter Washington on Bass, and the one and only Lewis Nash on Drums. Other highlights include The Anderson Brothers return to The Nash on April 9, with John Clayton arriving on April 19 to perform with the SCC Jazz Orchestra, and Roberta Gambarini and Cyrus Chesnut performing a special sunset house party on April 5, with all proceeds benefiting The Nash youth programs. This month’s JazzMeetsPoetry on April 26 will be a special theatrical reading of “Monk N Bud,” a fictionalized accounting of a 1951 incident when Thelonious Monk (1917-1982) and Bud Powell (1924-1966), two jazz musicians, were arrested on a street corner near what would become Lincoln Center. The Nash is located at 110 E. Roosevelt St., on Roosevelt Row in downtown Phoenix. For more information on The Nash and to view the full schedule of events and jazz program, visit TheNash.org.